On Sunday January 5th, 2014 the Glen Cove Fire Department conducted an Ice Rescue drill at Dosoris Pond at Prybils Beach. 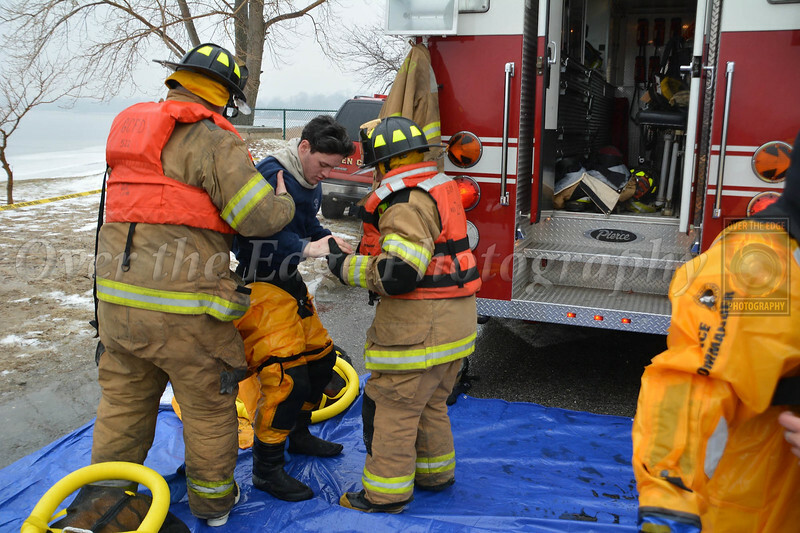 The fire department drills on Ice Rescue and/or Cold Water Rescue at least once a year. Although ice rescues are not common for the city of Glen Cove their are water rescues on the waters of Glen Cove all throughout the year. This year was the first time in many years that the drill was able to be held on actual ice. Although the Ice appeared to be thick, it did not hold up very well to the weight of one person.